Sandy beaches, a gentle ocean breeze and a seaside haven in Southern California are everything you have been dreaming about this winter season. 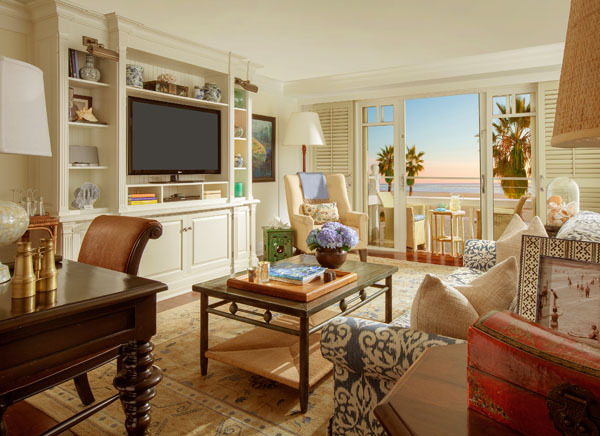 Shutters on the Beach is the perfect place to sit back, unwind and indulge in laidback coastal luxury at its finest that feels like a getaway even for local Angelinos. 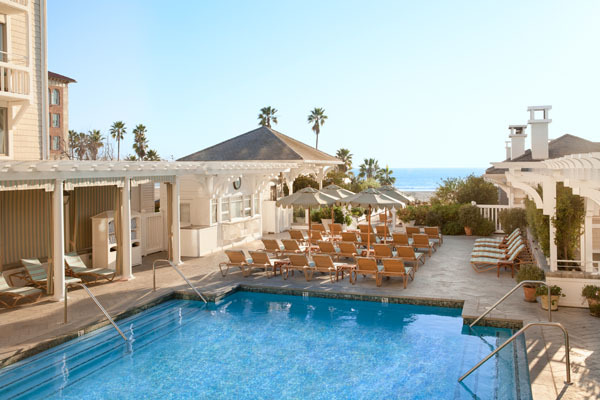 Guests will experience a slice of laid-back California elegance at the acclaimed Santa Monica Beach hotel, which recalls the quintessential cottages of Cape Cod. The shuttered doors open onto the breezy balconies providing guests with breathtaking views of California’s oceanfront vista. Visitors can choose from one of the 186 gracious guestrooms or the 12 suites, which all showcase the residential style designs of Michael S. Smith. From the Pacific View Suite all you can see are the beautiful shades of blue, shimmering off the reflection of the warm California sun. 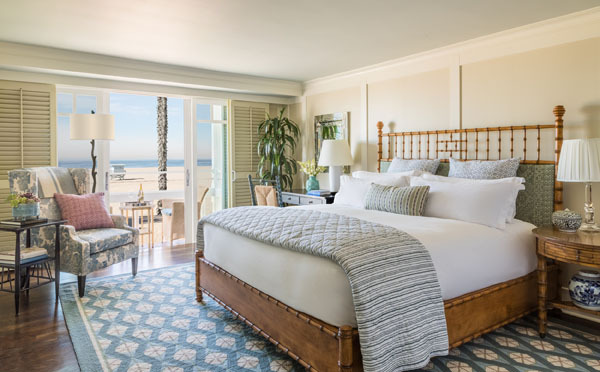 Wake up to panoramic views of the Pacific Ocean and the lively Santa Monica Pier. The room comes complete with comfortable and luxurious amenities including 1 king bed, full size sofa bed, fireplace, a hydrothermal massage tub and separate shower, living room with dining areas, flat screen TV’s, Bluetooth speaker system, in-room coffee-espresso maker, wet bar with wine fridge, powder room and of course the infamous outdoor balconies, perfect for watching the sunrises and sunsets. 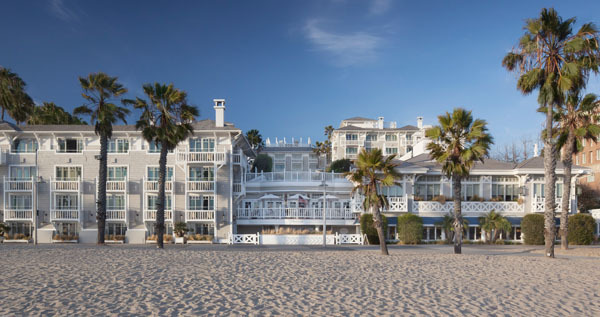 Along with the room, Shutters on the beach offers guests the chance to go outside a play, whether that its taking the Malibu to Manhattan beach bike path, paddle tennis, volleyball, poolside lounging, alfresco dining, beachside spa, or yoga on the sand, it’s all up to you. Learn to surf with a 2-hour private lesson or explore Santa Monica and Venice attractions in style with a customized Bike available at the front of the hotel to rent for the day. If you were looking to relax and restore, One Spa has your entire basis covered from custom treatments to massages and even facials to have you looking radiant for the beach. Breathe deep the ocean air and let go of worldly cares that cause tension and lines. One Spa utilizes only the finest products for treatments including Kerstin Florian, Luzern, Hydropeptide and Omorovicza to ensure total revitalization and energization of your mind and body. Spend an afternoon indulging in happy hour at Coast, a casual beachfront café and bar perfect for a cocktail and a plate of fries after walking off the sand with the family or loved one. Savor a plate of oysters or start off with guacamole and chips and finish off with a smoking gun, which includes mezcal, el Tesoro blanco tequila, lime, grenadine, angostura bitters and soda for a perfect casual evening. For a three-course dinner, 1 Pico is perched above the beach and includes a seasonal market menu set to delight your taste buds. Start with an appetizer choice of items such as seared calamari or baked pear. For the main event, roasted arctic char comes with rice, pickled vegetables and red Thai curry sauce, or the New Zealand rack of lamb is a fan favorite. To finish off the night, opt in for the panna cotta or a warm chocolate molten cake always seems to please. If you’re looking for some peace, the living room is the place to be. It is yours to do as you please, whether it is for reading the paper, meeting up with friends, enjoying a drink or just enjoying the view. The living room is complete with an incredible art collection, live entertainment on some evenings and comfortable couches invite guests to sit and stay.